Is there anything better than good music and good friends? We didn’t think so! 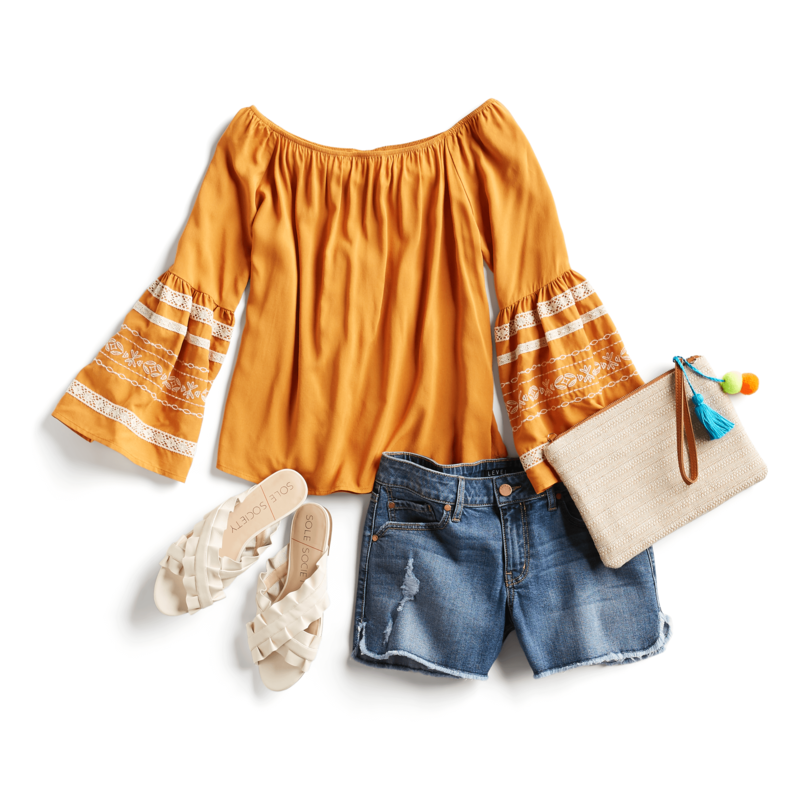 Whether you’re a denim and tee girl or like to dress it up for a night out on the town, a country concert outfit should first and foremost be comfortable enough to dance the night away to your favorite country tunes! Read on for our favorite country concert outfit ideas. Whether you’re rocking a pair of denim shorts or your favorite distressed jeans, denim is a country concert go-to due to its casual nature–plus they look amazing with just about anything. Pair distressed denim them with a tee that’s knotted at the waist for a classic concert combination. Show off your favorite denim-on-denim look. 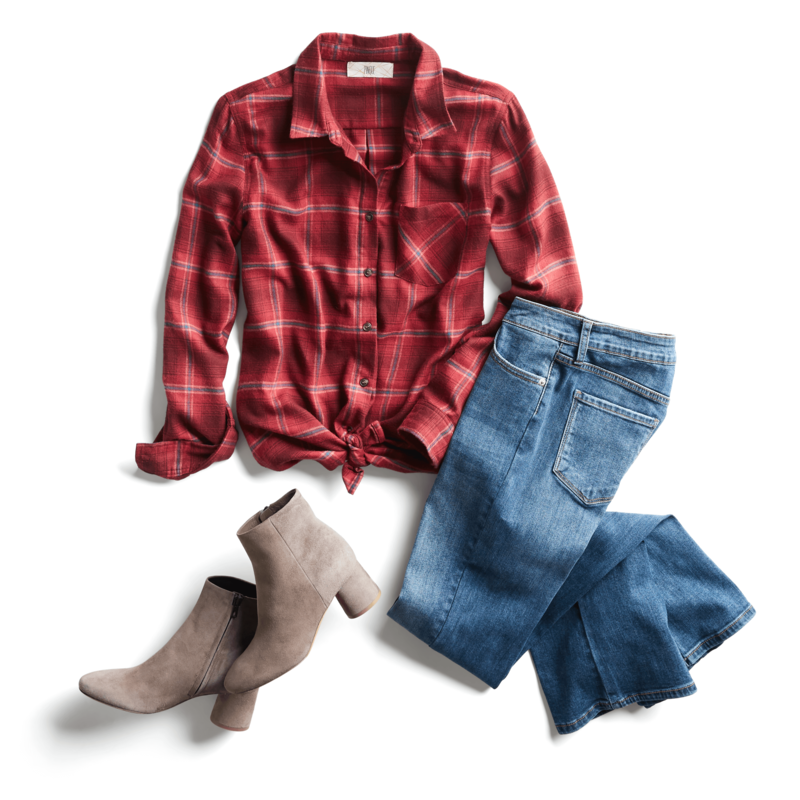 Wear crisp white skinnies with a light wash chambray top for chic country girl vibes. Style denim cutoffs with your favorite worn-in band tee. Finish your outfit with the requisite leather cowboy boots. Stylist Tip: The key to wearing denim-on-denim is contrast, so go with a light wash denim top and a pair of dark wash jeans or vice versa. A floaty, flowing shift, A-line or maxi dress is another ideal country concert option, as it will keep you cool and comfortable as you sway along to the music and. Dresses give you the perfect opportunity to play up the prints, so go with a feminine floral or quintessential stripe. Don’t forget to slip a lightweight cardigan into your bag in case the temperatures dip. Accessories aren’t just cute for a concert ensemble; they can be super handy as well. Keep your necessities – especially your concert ticket – close at hand with a chic crossbody. Add texture with boho accents, like fringe, tooled leather or embroidery. Instantly elevate your look with tassel earrings. If you’re wearing neutrals, seek out a pair in your favorite bold hue. Already decked out in brights? Choose a shimmery silver or gold pair. Rock your favorite prints while you rock out to the music. Plaid is a perennial fave; wear a button-down with distressed white skinnies for a twist on a classic look. As much as we love an intricate pair of leather cowboy boots, comfort is key at a concert. Don’t shy away from wearing ankle booties as an alternative. Pair suede ankle booties or sneakers with a short and sweet skirt or distressed denim shorts to highlight a long, leggy look. If the weather’s still warm, you still get country cool points in a good ‘ol pair of strappy sandals. Needing to revamp your country concert wardrobe? We’d love to lend a hand.